We are all aware that the commercial environment is often associated with challenging tasks. 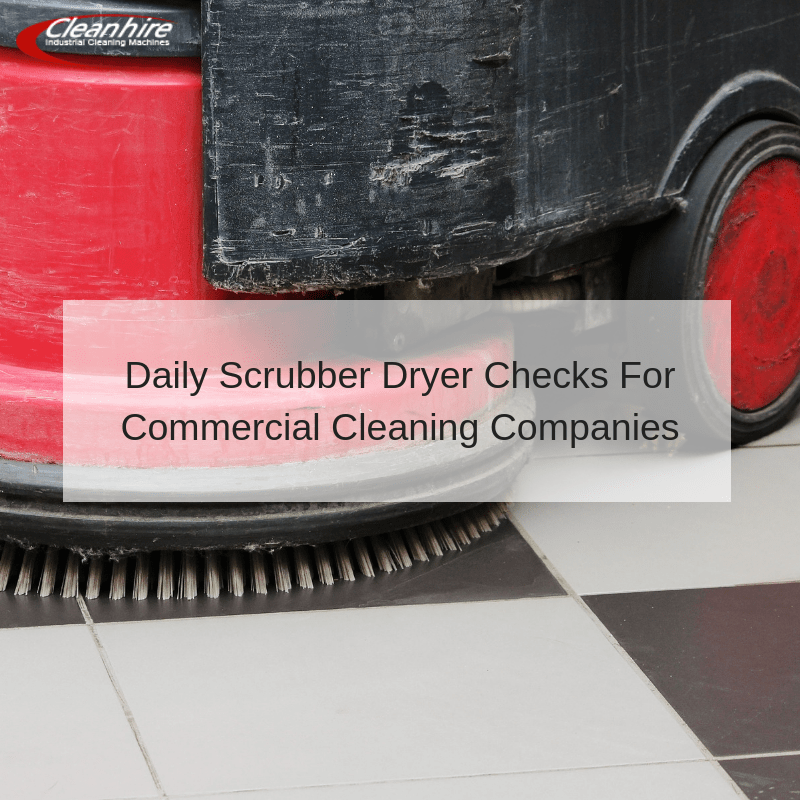 One of the most important concerns involves how to properly maintain floor scrubbers and dryers. A bit of maintenance can go a long way and even the simplest of preventative measures will help to extend the lifespan of the unit in question. Let’s take a look at some ways to guarantee a fully functional unit (as well as spotless floors). The recovery tanks of a commercial scrubber/dryer are used to store the solution that previously cleaned the floor. Thus, they are likely to contain a good amount of dirt and debris. In order to maintain the integrity of these tanks, they should be emptied and rinsed after each use. This is particularly important if you happen to be using harsh or abrasive chemicals. In the same respect, make certain that all solution reservoirs are thoroughly emptied. If any cleaning agents are allowed to remain in place, it is likely that they will clog filters and other sensitive parts. Make it a habit to perform this task after each use. All pads and brushes will undergo a regular amount of wear and tear. These are also the areas that will be likely to accumulate the most dirt. It is important to clean all associated surfaces on a daily basis; particularly if you are planning to tackle a large job. Also, check for any signs of mechanical breakdowns (such as cracks or missing bristles). While a professional scrubber dryer hire firm regularly examines such equipment, it is still your responsibility that it is maintained in working order. The water jets found on the base of the unit are essential when spraying down a floor. However, these small apertures will often become clogged or otherwise spray incorrectly. Be sure that all are functioning as they should. If you find that one has become blocked, remove it and soak it in a mildly acidic solution (vinegar can often work wonders overnight). These daily checks will help to ensure that your floor scrubber/dryer is working properly. If you notice any problems that have not been mentioned within this list, it is best to contact Cleanhire as soon as possible. We will certainly be able to diagnose the issue; saving you time and aggravation.